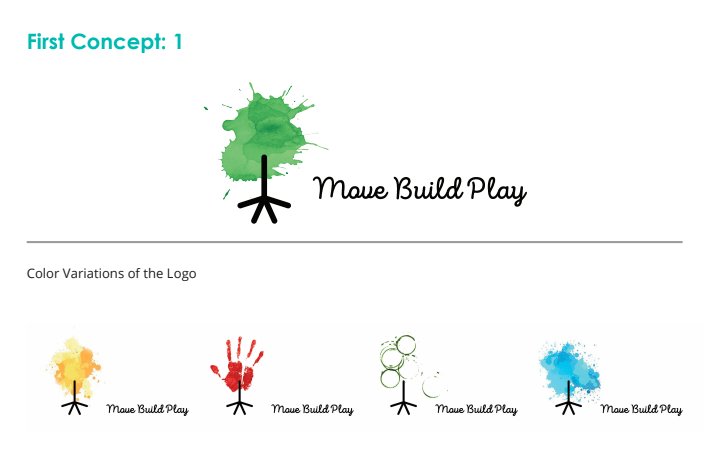 MOVE BUILD PLAY is a local kids organization that offers structured outdoor play through camps and workshops. Founder, Michelle Brown, has been offering outdoor play experiences in South Florida for over 5 years and has now embarked on her own journey to offer a streamlined camp business that helps parents connect their children with nature in a simple, fun and engaging way. 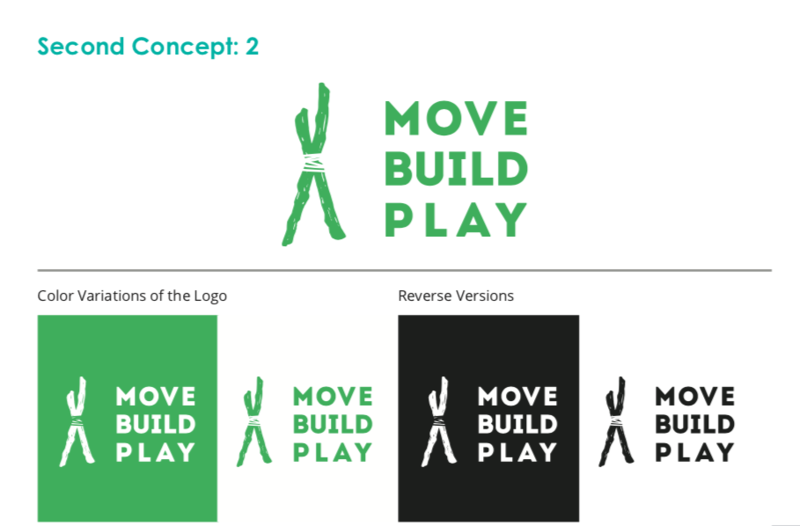 She approached Clicc Media to assist her in building her overall brand, from logo to web design, here is the process of how the icon to MOVE BUILD PLAY came to be. First option created as a dynamical logotype which uses multiple iterations of a mark/icon to communicate a particular aspect of your company’s brand. These might take the form of a logo that changes with each viewing depending on the context. For this concept, the tree trunk is the component that will stay the same, but the “crown” will change from time to time (aka the mark). For example, it could be different aquarelle splats, or multiple drawn circles, traces of a cup, or ink hand shapes. The second concept is hand-drawn symbol combined with a letter stack for text part. To give off an outdoor/nature feel, we designed the symbol to be the cross section of the tree within a beaver silhouette. We used a modern, clean font for the logo with a “less casual” style of kerning that is needed in for text that are composed in a letter stack. To underline the theme of nature and trees, we chose the dominant color of the design to be brown. For the third and final option, we wanted to continue with the “tree” theme, so we incorporated the idea of bounded branches. When people think nature and the outdoors, they picture greenery, trees and specifically branches which can be used for many outdoor components such as starting a fire or even creating a teepee. As we evolved throughout the design process and with Michelle’s collaboration, we ended up going with option 3. 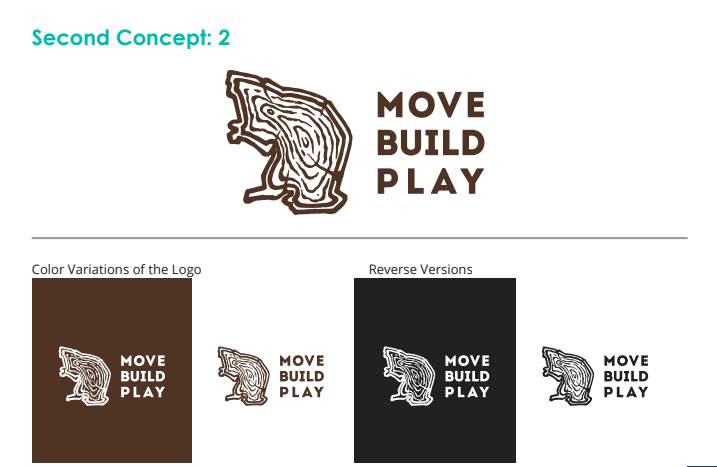 As you will see below, we added another branch to the icon and took the brown color concept from option 2 to play more towards the raw nature feeling of the outdoors.